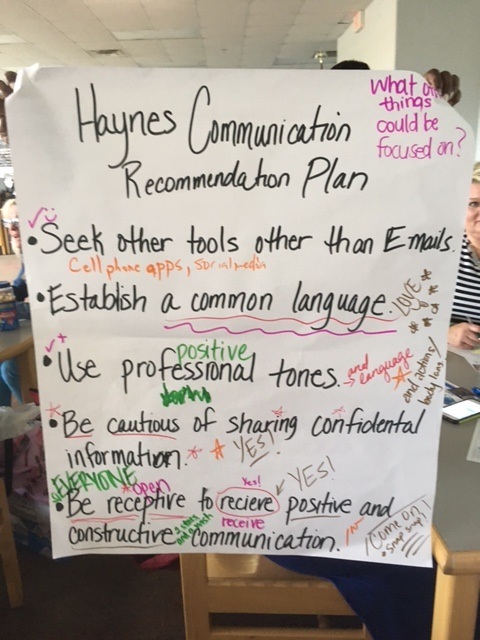 I am excited to share that Haynes is continuing their collaborative inquiry journey this fall. 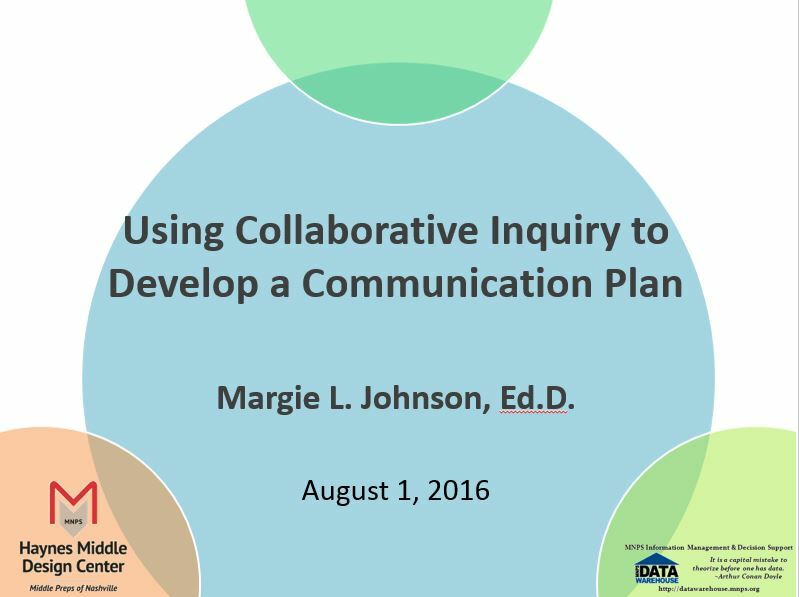 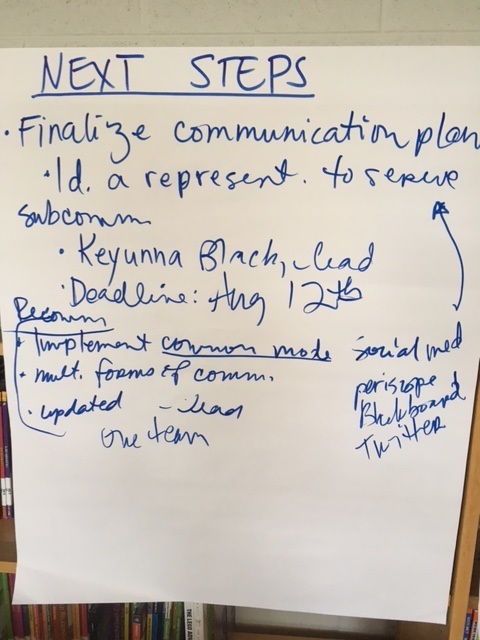 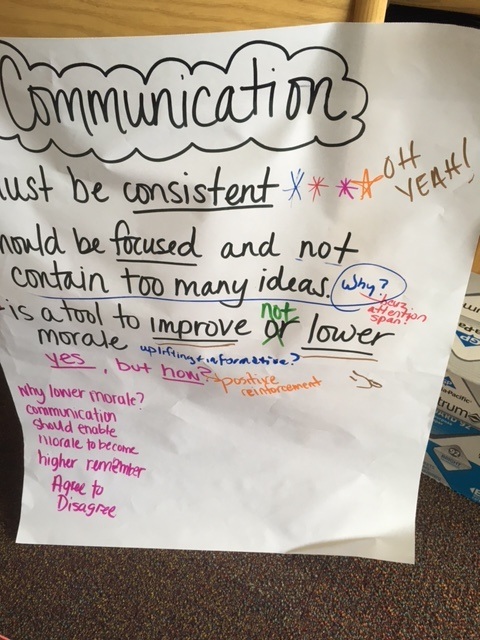 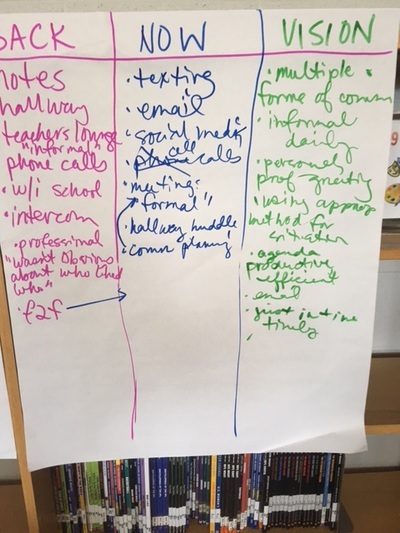 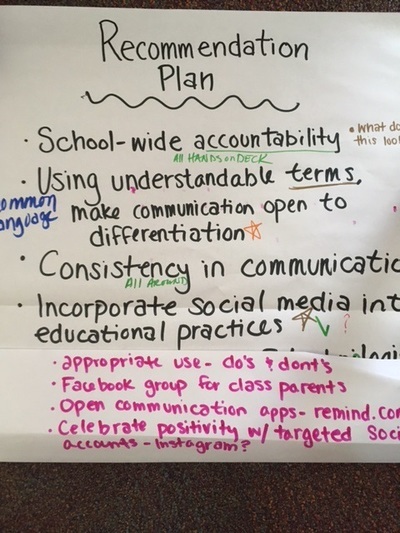 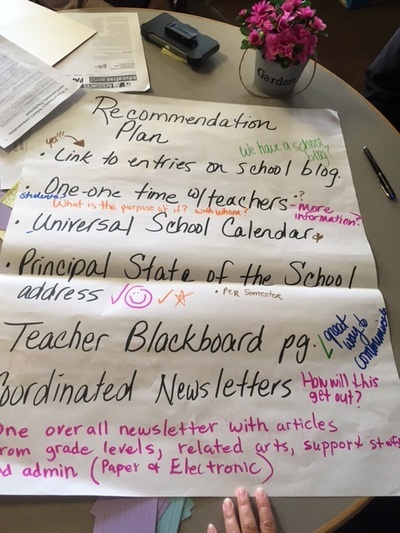 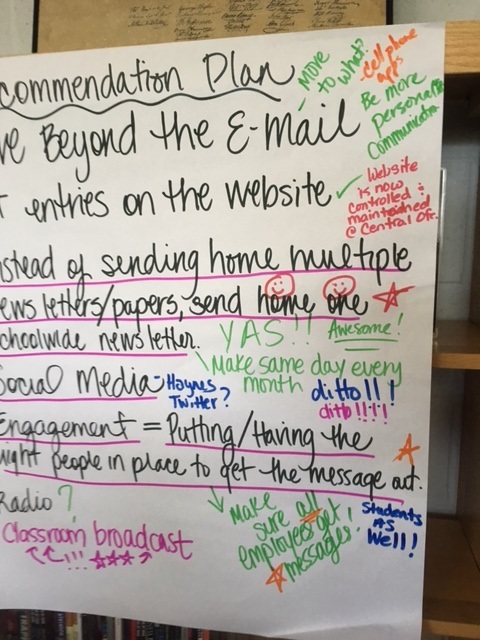 For this session, the collaborative inquiry process was used to begin the development of a school-wide communication plan. 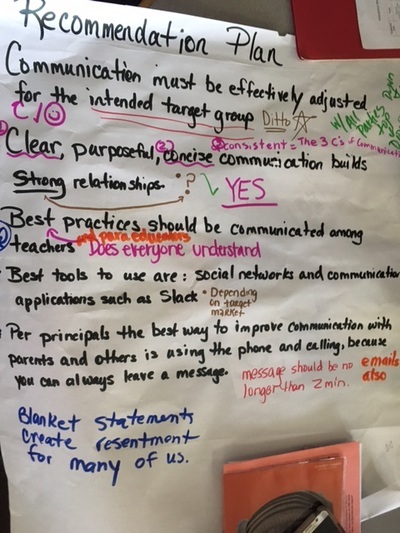 Below are the materials from the session. 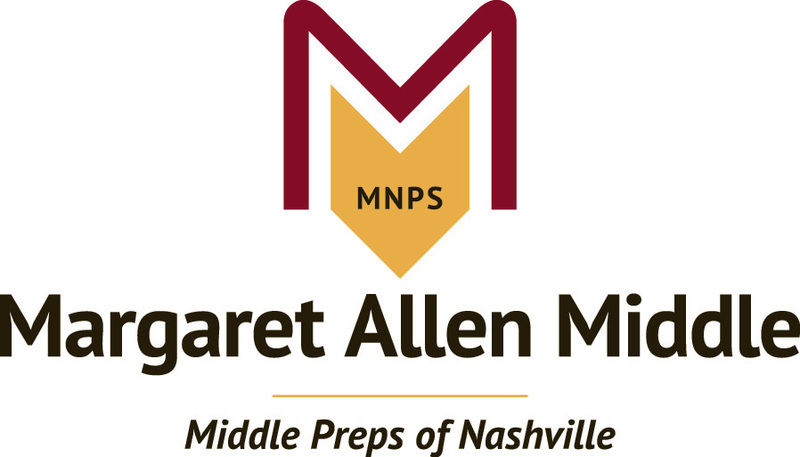 If you would like the articles used, please see the Una Elementary page or email Margie Johnson at margie.johnson@mnps.org.